HCW Development Co., LLC a Missouri Limited Liability company headquartered in Branson, Missouri today announced the results of the Hunden Strategic Partners “Branson Landing Economic, Fiscal & Employment Impact Analysis.” The Study commissioned by HCW, takes an in-depth review of the amount of taxes generated onsite to repay bonds and cover the Branson Landing debt service. Additionally, the study highlights the mix-use attraction and the economic implications relative to job creation and creating a destination market. To review the full Hunden Strategic Partners Economic, Fiscal & Employment Impact Analysis report go to: www.hcwdevelopment.com and click on the link identified by the same name. HCW, LLC is a nationwide development company with offices in Wichita, KS, Branson, MO, and Phoenix, AZ. HCW, LLC is widely known for its unique ability to assess the needs and wishes of a community and bring esthetically appropriate development that blends with the best features of each community. 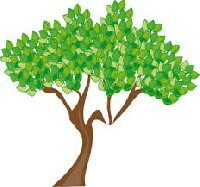 For more information about HCW, LLC and HCW Development Co., LLC please visit http://www.HCWDevelopment.com or call 417.332.3400. In 1959, a band of four brothers started to play music for visitors in the now historic Downtown Branson area. Another family built the first theater on a dirt road leading from downtown to Silver Dollar City. The four brothers then built a second theater, across from the first, on that same dirt road. That dirt road is the now famous “Country Music Boulevard” – or “The 76 Strip”. While major celebrities come and go through Branson, we remember that it was “Independent” family musicians which began the city’s claim to fame. It is for that historical fact that three nonprofit organizations have combined resources to promote and preserve Independently produced music – not just from the Ozarks, but from across the nation. With their 501(c)(3) status pending, the combined resources of these organizations will provide performers with access to national promotions, media, publicity, marketing opportunities, performances and events. Resources include broadcasters, record labels and producers, event coordinators and syndicators. More than just promoting unsigned performers, the organizations also look to benefit school music programs with instruments, uniforms, sheet music, transportation and other necessities. Other projects include working with local food banks and creating shelter for the working homeless in Branson. Klein says that “by promoting these artists and their performances, we can create special events that not only promote the artist, but also benefit other area programs and agencies”. Since first organizing in the fall of last year, the nonprofits have applied to the FCC to build new FM Community Radio Stations in Branson, Kimberling City and in Harrison. Michael Klein says “If you’re going to promote music, you have to have a way to guarantee radio play. So we’re building a small network of FM stations that will feature a Classic Rock format from the 70s and 80s, but will also provide ‘Visitor Information'”. So far, the FCC has awarded Construction Permits for two of the three stations, Branson and Harrison, with the Kimberling City application still pending approval. Along with the FM broadcasts, the stations will also simulcast on the Internet as the sister-station to Branson’s “Original” Internet radio station, “B-Country BWR”. Klein adds, “These FM radio stations are what is commonly known as ‘Community’ stations. We have no intentions of competing with the other stations in the area, because we won’t have the same range on the air. Of course, the Internet stream will solve that problem. But since the other stations do such a great job of providing what many locals are interested in, the purpose of these stations will be to help our area visitors with the information that they need to truly experience a tour through the Ozarks”. Klein says instead of “commercials”, there will be features and spotlights to go along with an all request music format. With the goal to be broadcasting in time for the next visitor season, the stations will feature area events and festivals, location remotes, and will focus on the services available to visitors while in the SW Missouri and NW Arkansas region. Unlike “advertising”, supporting businesses and organizations will be highlighted to inform both visitors and locals alike. Special programming will feature the new and Independent artists that are members of the organizations. Klein says, “The FM broadcast will be offered to the millions of visitors to the Branson/Lakes area, as well as for those travelling through North Central Arkansas. 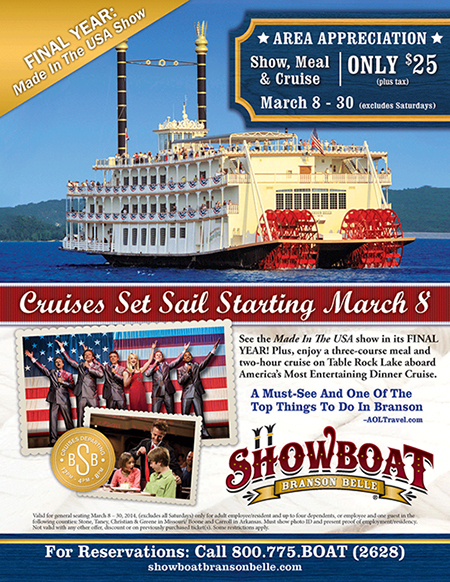 By making it available through our Internet stream, visitors can literally take a piece of the Ozarks home with them, and visit all year long with a choice of Hot Country Hits or Classic Rock, with GREAT Independent music either way”. While focusing on area information, listeners will benefit from local news and weather information, participation in local events, contests and giveaways when available. Now that the permits have been issued, the organizations are on a membership drive to help build the radio stations and have them on the air by the end of May – the official start to vacation season. While local bands, performers, writers and actors are encouraged to join, music fans are also invited to support our causes. Major events are already being planned, including the “Bikes, Blues & BBQ” event in Fayetteville, Arkansas. This event draws more than 400,000 visitors in one weekend! Individual memberships begin at $35.00 per year, and include access to the website to download music, videos, discounted event passes, and you’ll also receive a cool T-Shirt! Artists and performers can register as a “Talent” member, and there’s a place for corporate sponsorship as well. Visit www.bicma.us, www.oncam.us, or www.napac.us for details and to get registered. This event is to benefit the needs of our local community through our KW CARES Campaigns. Please join us for some a wonderful time, raising money for great cause and enjoying the scenery of the Branson Landing & Lake Taneycomo! Register by April 11 to guarantee a t-shirt & goodie bag! Medals to be awarded by age division. 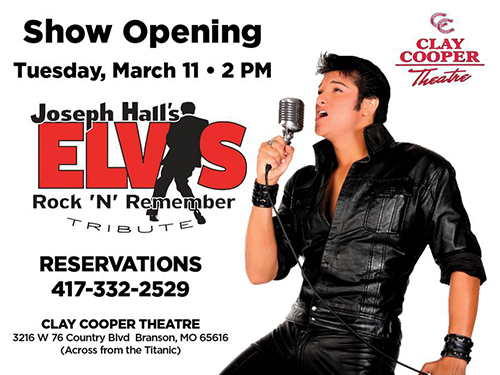 Branson, Mo., February 25, 2014 – Announcing a new non-profit in the Branson, Tri-Lakes area. Established in November 2013, the Tri-Lakes Sertoma Clubs mission is to promote hearing health in the local Tri-Lakes area. There are 800+ people in this area who are affected by hearing loss. Through local club events and fundraisers, the Tri-Lakes Sertoma Club intends to raise money for this mission, as well as sponsor community projects to promote other local community needs. Sertoma is an acronym for SERvice TO MAnkind. The shared mission of Sertoma’s national organization is promoting “hearing health.” Headquartered in Kansas City, Missouri, Sertoma is a 501(c)(3) not-for-profit civic organization with community-minded members in service clubs across the US and Canada. Every year Sertoma clubs raise more than $20 million for local community service projects. Through these projects, as well as grants and scholarships, Sertoma clubs return those funds to their respective communities – and they have lots of fun doing it while building life-long friendships. Tri-Lakes Sertoma is excited to contribute to the Tri-Lakes community and they are currently looking for new members to help carry out their mission. If you are interested in finding out more about their planned service events and programs, please come to their next meeting. 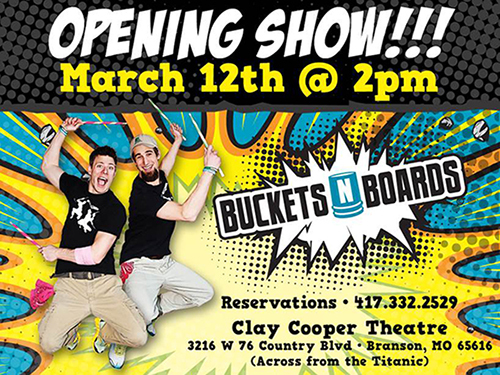 It will be held at Old Chicago at the Branson Landing on Monday, March 10, 2104 at 5:30 pm.